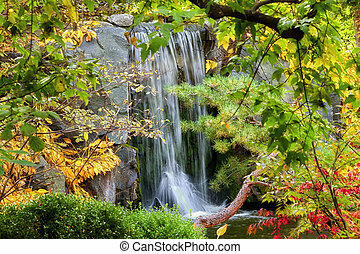 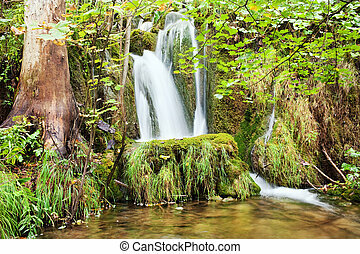 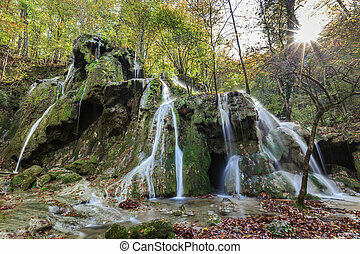 Waterfall in autumn forest. 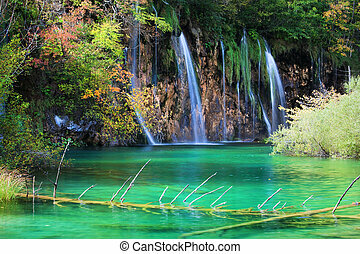 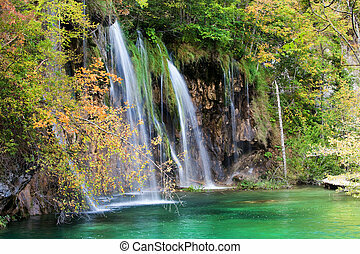 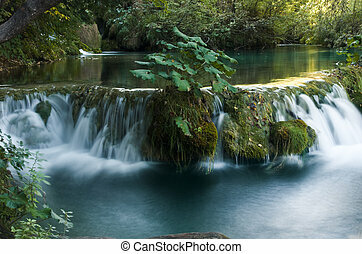 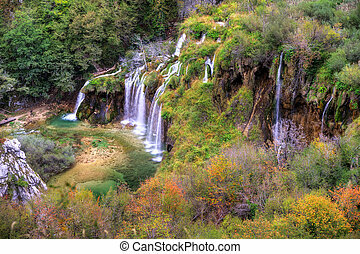 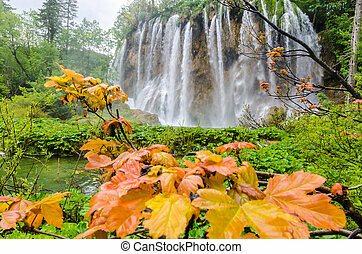 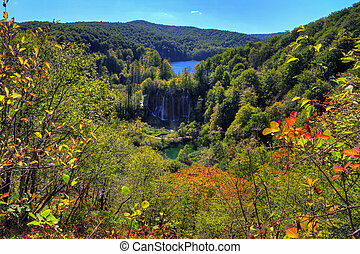 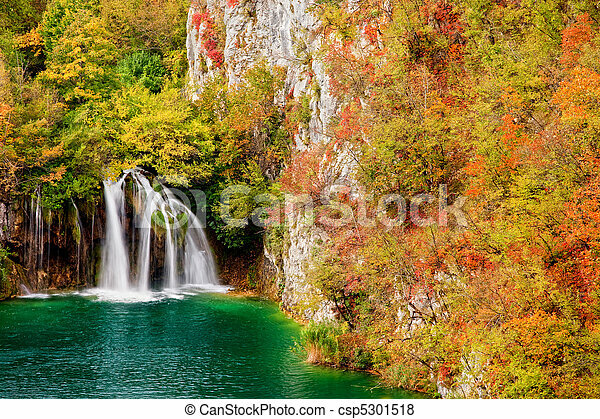 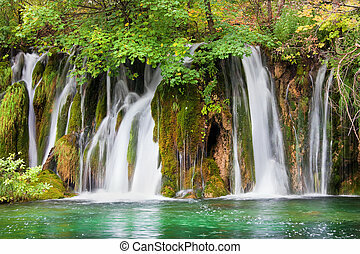 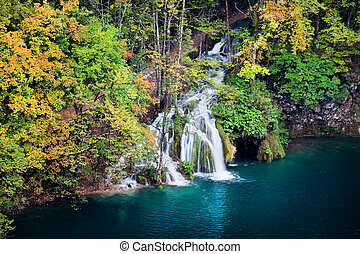 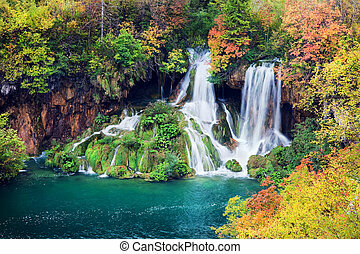 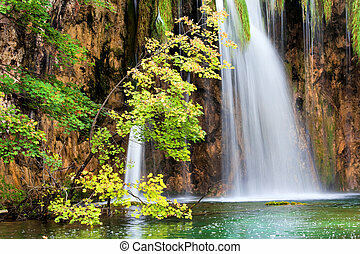 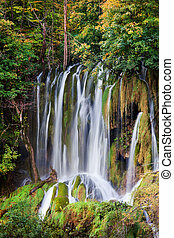 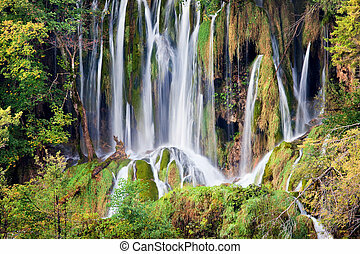 Waterfall in autumn scenery of the plitvice lakes national park in croatia. 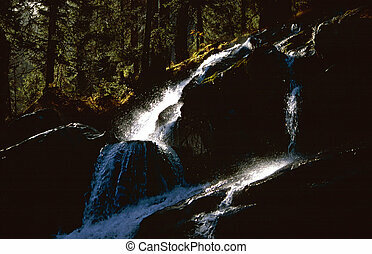 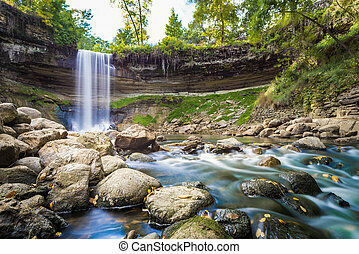 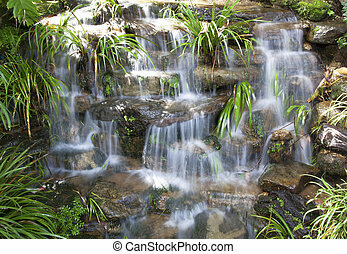 Small waterfall natural fresh water and cool white. 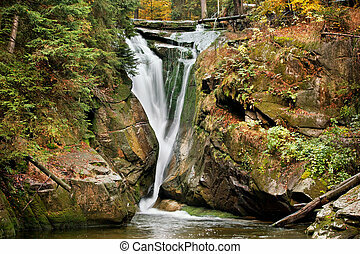 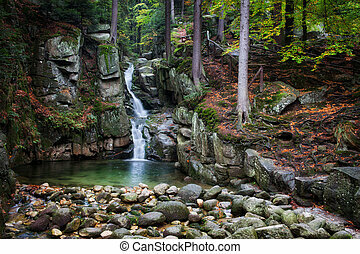 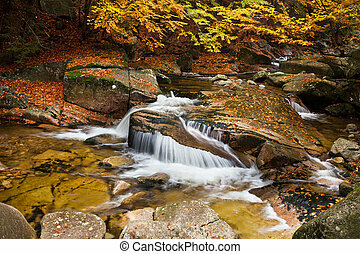 Mumlava waterfall in autumn forest of Giant Mountains (Krkonose, Karkonosze), Czech Republic. 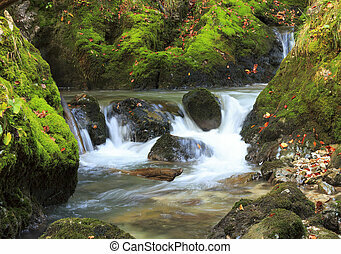 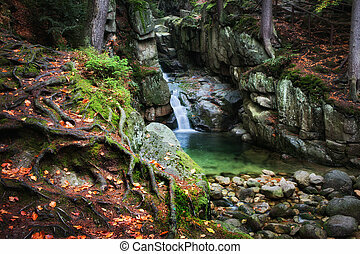 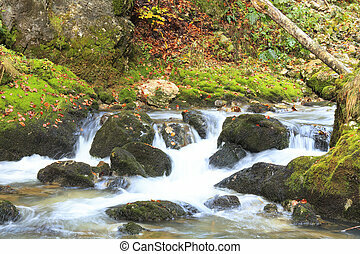 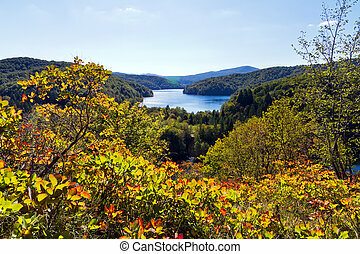 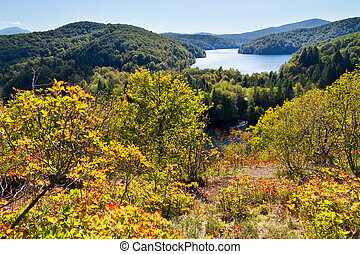 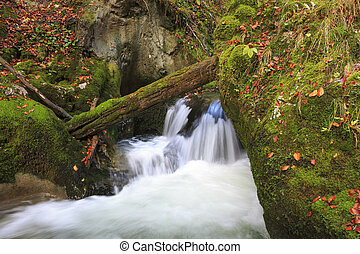 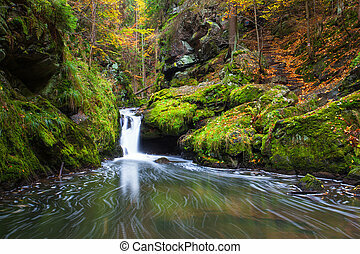 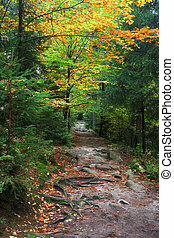 Stream with small waterfall in beautiful autumn scenery of the mountain forest. 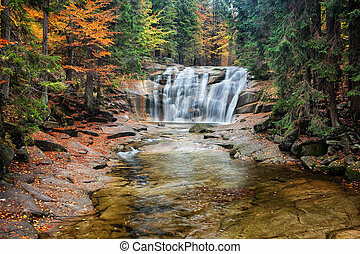 Szklarka waterfall in autumn, Karkonoski National Park, Poland.